Composed by George David Weiss, Hugo Peretti, and Luigi Creatore. Arranged by James Swearingen. 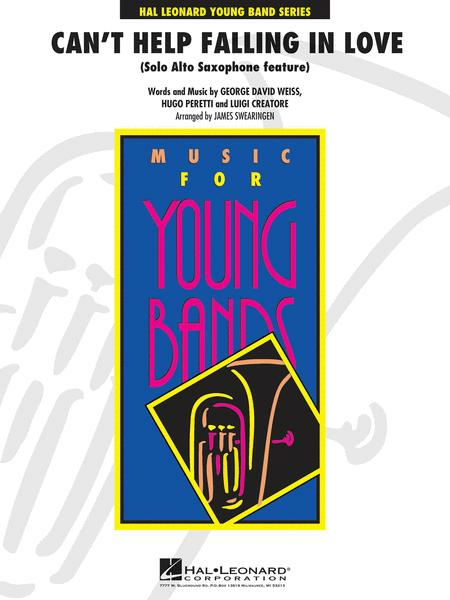 Young Concert Band. Softcover. Published by Hal Leonard (HL.4001329). Originally recorded by Elvis Presley, this powerful ballad has become an enduring standard recorded by countless artists over the years. James Swearingen brings us a beautifully scored version for band that features an alto saxophone soloist, making this an effective addition to any concert. Love the arrangement. It fits right into our repertoire since we are an adult Community Band, most of whom learned to play after mid-life and love to play older popular music.